Model horse hobby legends Pamala Hutton and Carol Floyd (E:Mc2) chose my sculpture Persuasion to paint in collaboration after seeing her on my website. The result was "Desert Myst". Desert Myst was auctioned on Ebay and sold for a record breaking price. She was E:Mc2's highest selling model horse at the time and maybe their highest selling horse to date, selling for more than twice what their work had sold for previously. Pamala bought a second Persuasion saying she never painted the same model twice, but for Persuasion she made an exception. Ziva David A customized David resin. 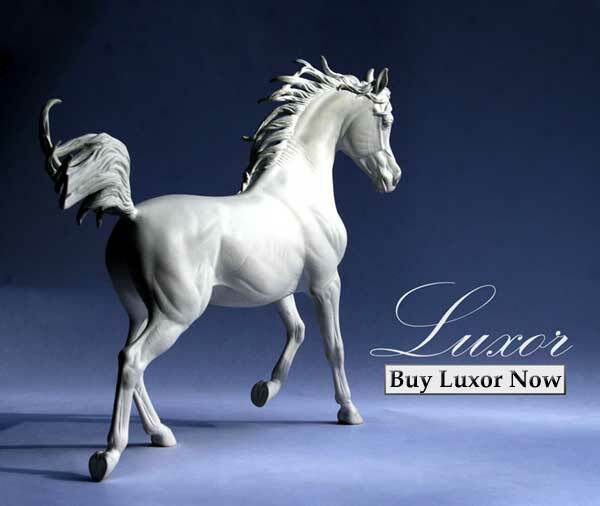 My horse sculptures are owned by collectors around the world and consistently win awards at live shows. 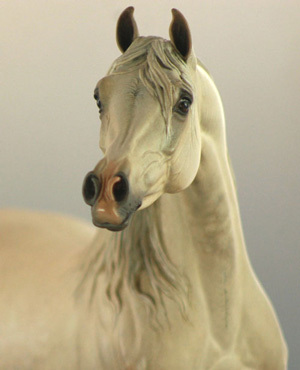 Indian Silver resins won Champion and Reserve Champion Purebred Arabian Resin Tr and Champion Part Arabian Resin at the 2009 North American Nationals (NAN). Indian Silver does it again! 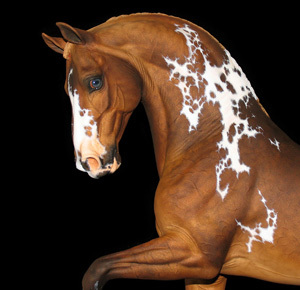 Takes Champion Arabian at the 2011 North American Nationals (NAN). 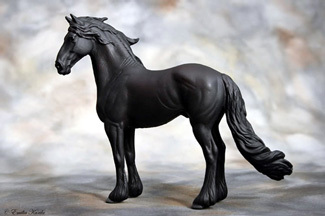 Horse sculpture is my passion. 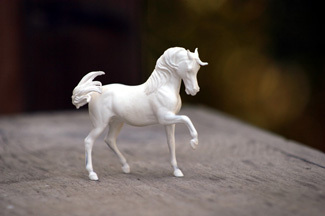 Figures of horses have always filled my imagination. 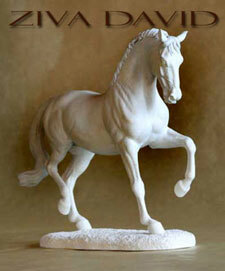 I strive to portray the horse as he is in my sculptures, beautiful, sensitive and powerful. Horses are intelligent and feeling beings. As a sculptor I observe the anatomy, movement and expressions of horses as well as their unique qualities that make each horse an individual. 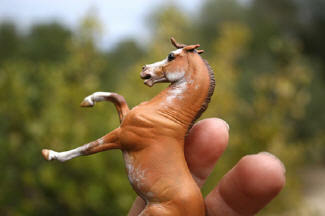 In my studio The studio blog is a photographic record of in progress works and finished horses. Auctions This link takes you to my current auctions. 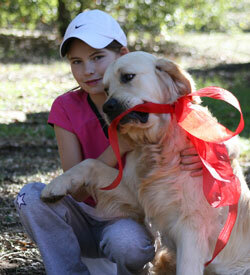 Join my mailing list to be notified of new auctions. 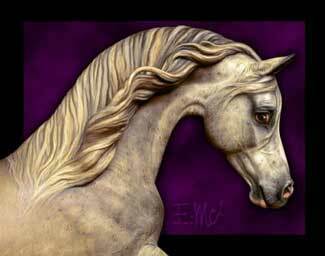 Videos Horse sculpture on Youtube. The Sculptures Horse sculptures listed by breed and by scale. Soft Sculpture Soft sculpture horses and ponies are the newest additions to the stable. These sculptures are the next in line for release, in no particular order. 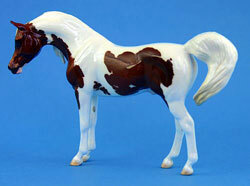 Arabian War Horse This Traditional Scale Arabian Mare has been released! 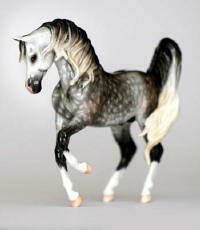 Monya is a curio scale sculpture of an Arabian stallion. He is being produced in fine bone china in a very limited edition. 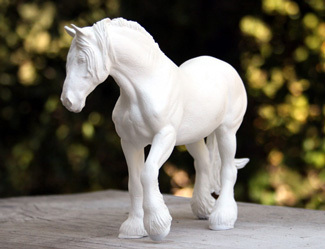 Each ceramic horse is finished with a unique glaze by some of the world's best equine artists. I will announce sales offerings as each horse becomes available first to members of my Yahoo group before it is offered publicly. 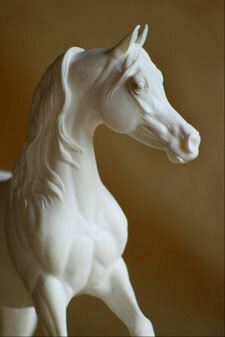 You are invited to join MyGalleryofHorses to get the latest news on sales and new editions.